Hockey stickers collection craze, Rubik’s Cube obsession, Tamagotchi mania… The trends in popular toys had been numerous. And then 90s kids fell in love with the yellow Pikachu. The boom of exchanging Pokémon cards gradually grew into gaming and then died out. Who would have thought that history would repeat itself? 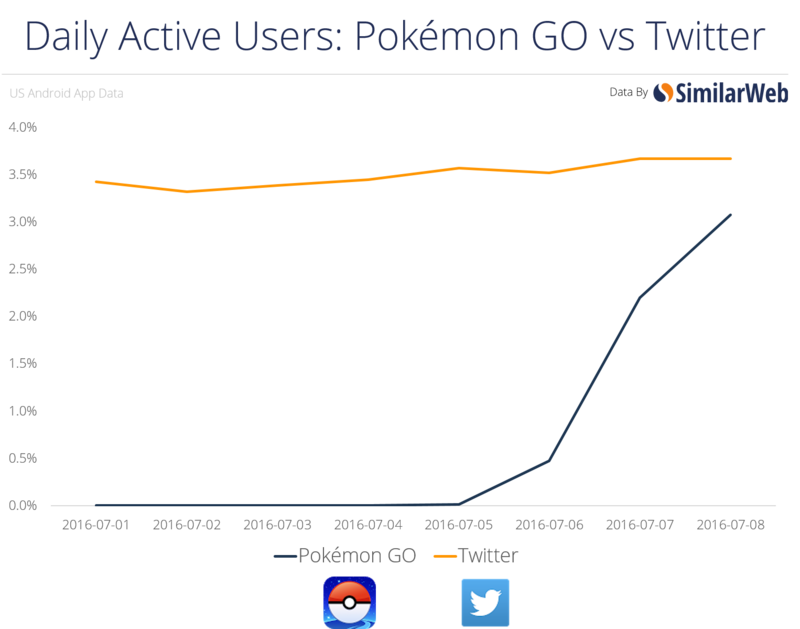 The new app Pokémon GO has dominated the online market, and in less than two weeks, it has become a global phenomenon. Pokémon GO is an augmented reality smartphone game available on iOS and Android devices. 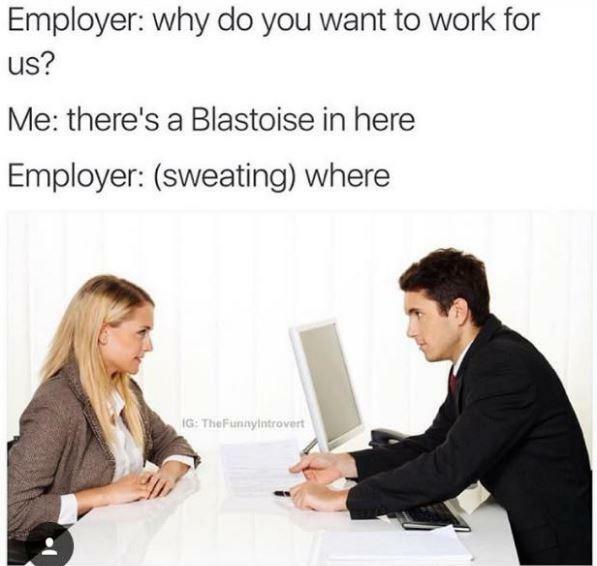 Developed by Niantic and Nintendo, it was released only a few days ago. In short, it is a great example of geocaching use in a game. In the app, you wander a country – a redrawn authentic map of your real surroundings. 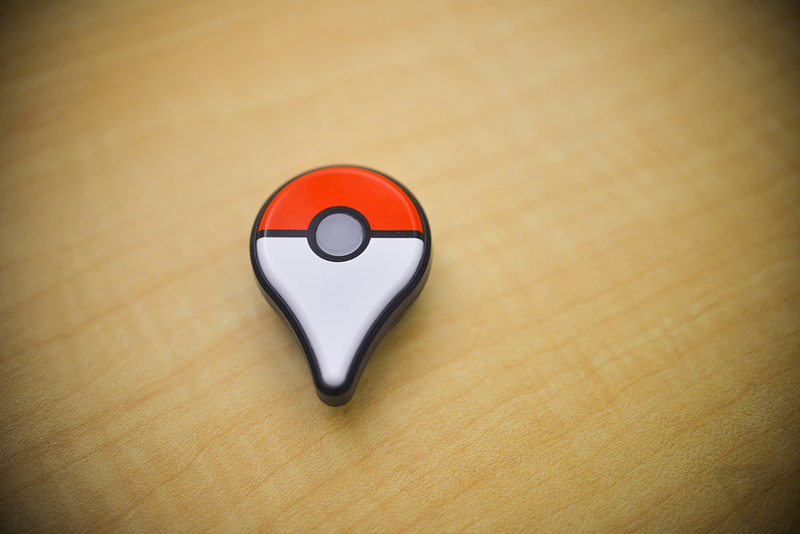 Thanks to this geolocation function, you can spy on Pokémon, which you can catch in a Pokéball, train, or look for gyms (stadiums) where you fight and advance to different levels of the game. Collection of Pokémon automatically turns on your phone’s camera, and you find yourself in augmented reality. Moreover, every kilometer you walk gets you closer to egg hatching (if you have any eggs). Even though the game is free, you can buy some stuff with Pokécoins. A new feature that is being planned, Pokémon GO Plus, will enable Bluetooth pairing with other people, and vibration notifications sound good, too. What Makes the Game Such a Phenomenon? 1) The activity has already earned the nickname “Pokémoning“. While playing, people forget about the real world around them. Chasing non-existent animals in dangerous places has already resulted in many a game over in the form of an injury in the hospital. The first armed robberies have even been reported. The thieves waited for their victims in the Pokémon locations outside the busy city districts. 2) The high demand has caused server stability issues, and that is also the reason that the game is so far only available in the USA, Australia, and New Zealand. However, the fact that it is so sought after has increased Nintendo’s market value by almost $12 billion. 3) Pokémon has become the most searched term in the countries where the game is available, and the app has rocketed to the top of the US iTunes chart. 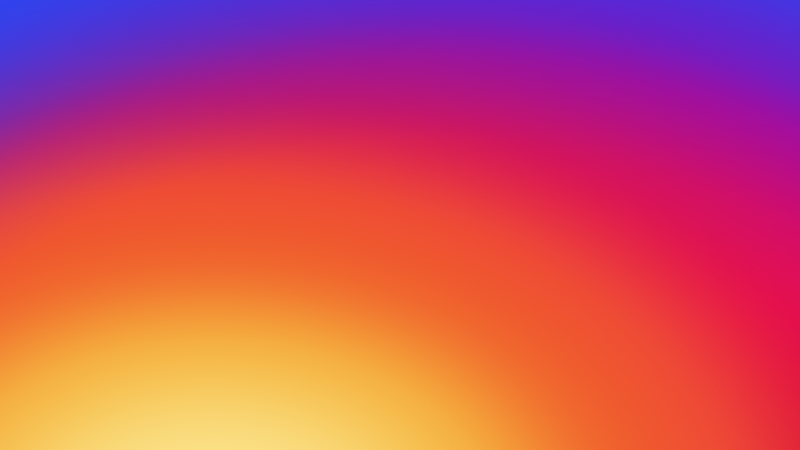 That represents approximately $1.6 billion per day, and in the Play Store, it ranks in the top 10. 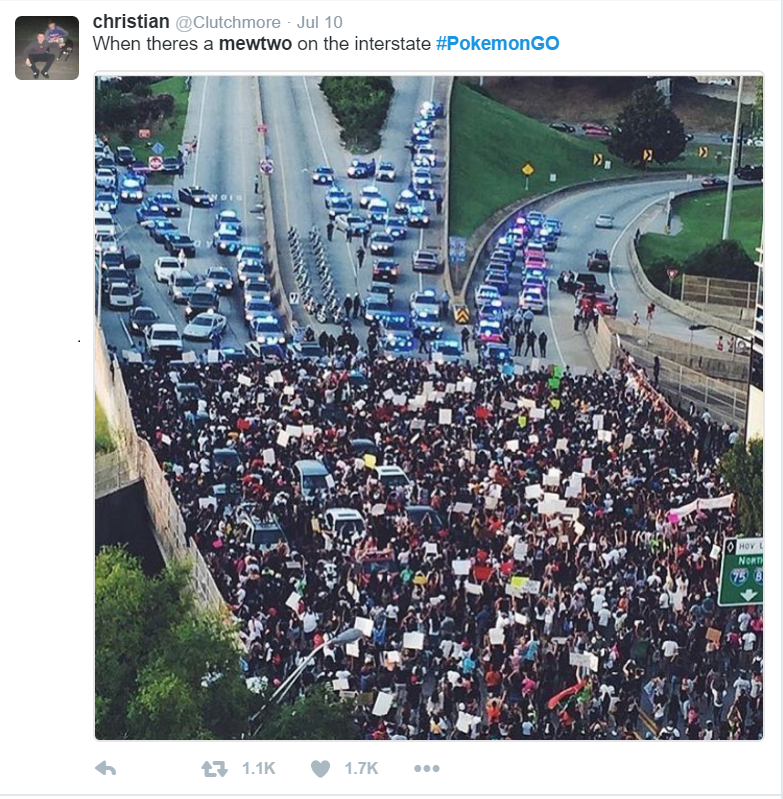 The hashtag #pokemonGO has been used in 1.4 million posts on Instagram, and it has been mentioned 6.6 million times on Twitter, with 130,000 tweets in a single hour last Sunday at 10 pm. On Facebook, almost 100,000 people have used the hashtag. 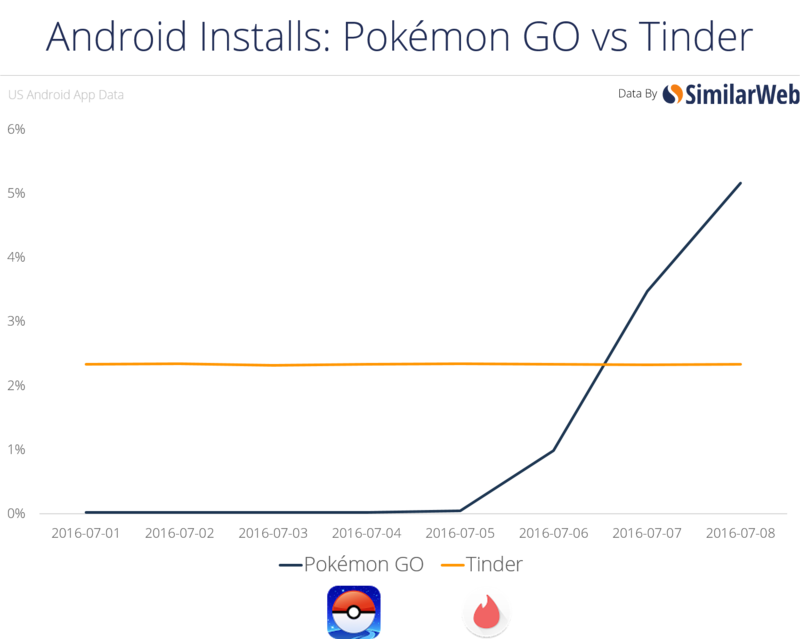 5) In user count, the game has got ahead of Tinder and is about to overtake Twitter as well. 6) What Europeans have been trying to achieve for over 200 years, this game may possibly accomplish finally – teach the Americans to measure distance in kilometers – since the app uses this unit. 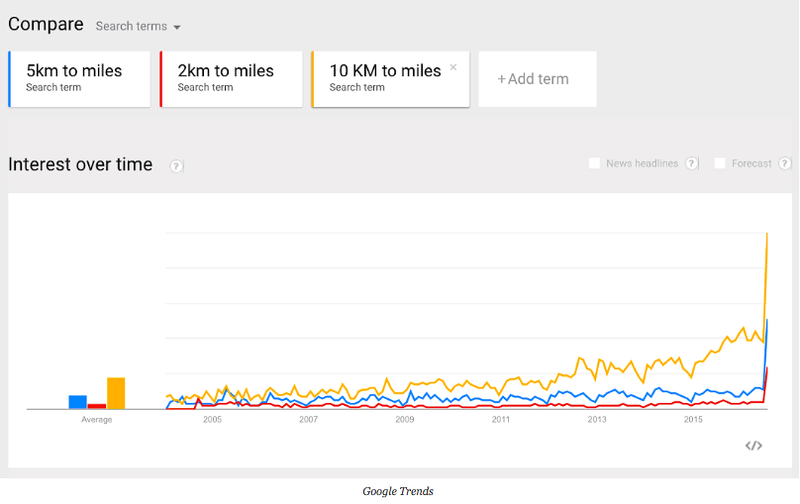 It has come so far that conversion of miles to kilometers has for a few days been the most searched on Google. 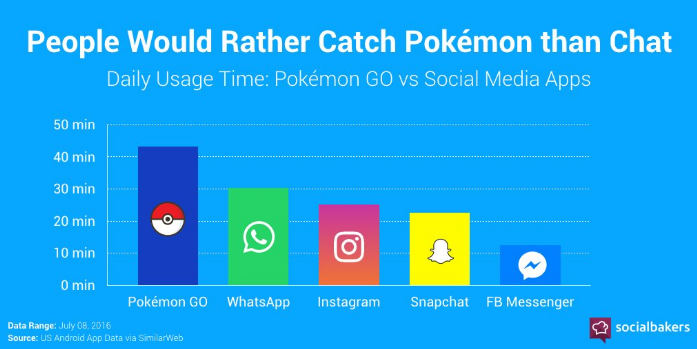 7) People prefer to chase Pokémon, and top trends of social media don’t get as much of our time anymore. 8) The so-called “PokeStops” can be found at sightseeing places, monuments, in parks, at tourist sites, cemeteries, and basically wherever you can think of. This motivates people to get to know new places. 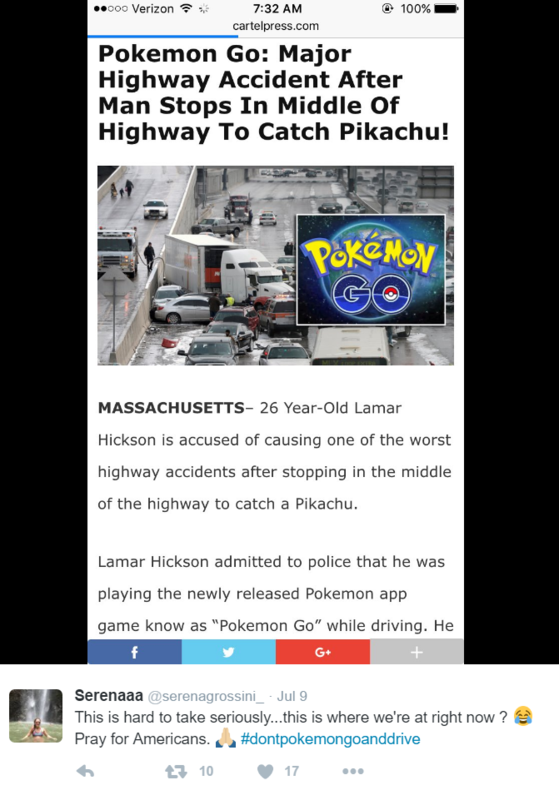 The benefits of the game and the craze around chasing Pokémon has not bypassed the world of marketing, either. To see how you can use it to enhance your marketing strategy, both online and offline, stay tuned for our next blog!